This trendy timepiece has a numberless and unmarked dial to give a minimalist look that’ll look great with both smart and casual outfits. Plus it has a trendy thin mesh strap! 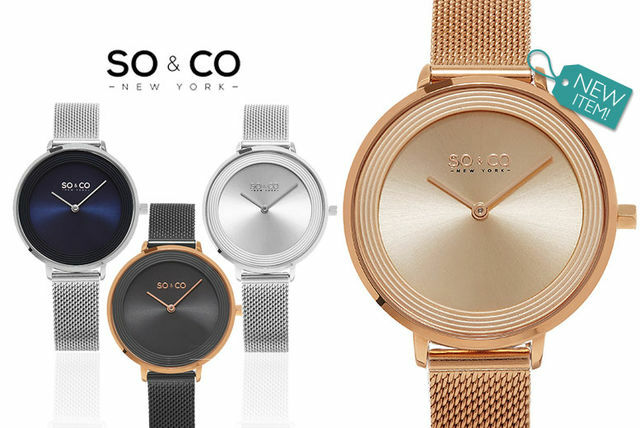 Get a ladies’ luxury SO&CO mesh watch. Sleek and simple design – just two hands and no markers. With a thin and on-trend mesh strap. Today’s Groupon offers a So&Co New York men’s dual time Quartz watch for £53.99.